Tacos with a side of meth? 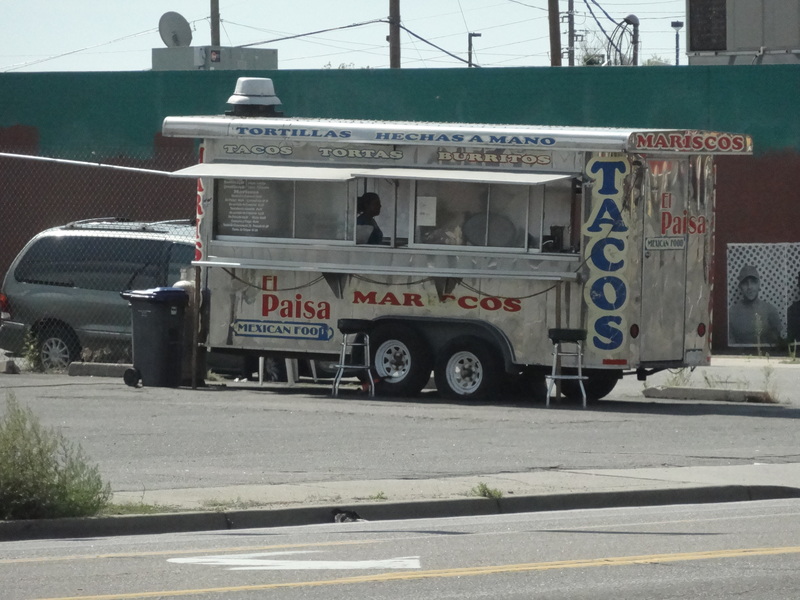 DENVER - Authorities say a Colorado drug ring was selling methamphetamine out of a taco wagon after importing it from Mexico through California. The Colorado Attorney General's Office said Monday 15 people were arrested and two others are being sought on charges including racketeering, drug possession, money laundering, tax evasion and conspiracy. The ring was allegedly selling meth out of a trailer serving tacos and other food in southwest Denver as well as distributing it elsewhere in the Denver metro area. Attorney General John Suthers says buyers could "order a side of meth with their taco." Authorities say they seized 55 pounds of meth in the investigation, some of which was hidden in the floor of a red Mini Cooper. According to an indictment in the case, a 37-year-old man named Juan Carlos Gonzalez was the leader of the drug ring and "coordinated with others to primarily import meth as well as cocaine from Mexico into California for delivery in Colorado." The sting which netted the arrests was dubbed "Operation Cargo," reports CBS Denver. Federal and local law-enforcement officers and Adams prosecutors helped with the investigation.